Director of RTP programs Daniel Duesdado says to dn.pt that the decision on which city will host Eurovision 2018 has not been taken, and that RTP will look at the "entire map" of Portugal before they make a decision. 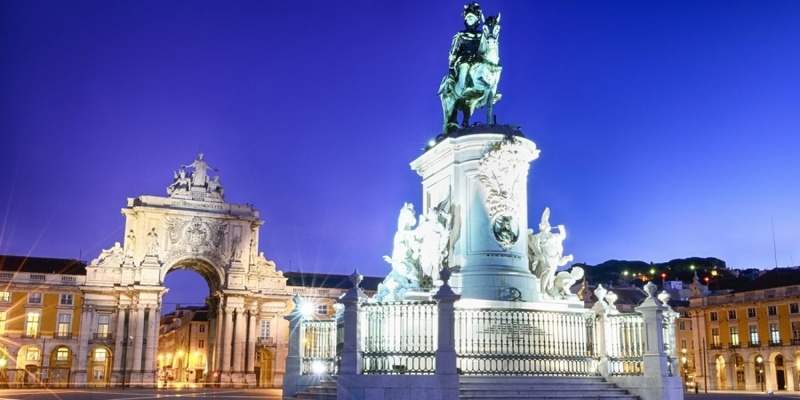 Though it is very likely that Portugal will be the host city of Eurovision 2018. We have a new record! Just two days after Salvador Sobral won Eurovision 2017 with record breaking 758 points, the host city for next year's Eurovision has already been decided by the Portuguese broadcaster, RTP: Eurovision Song Contest 2018 will be held in Lisbon, Portugal. The decision has been announced by the Portuguese public broadcaster Rádio e Televisão de Portugal (RTP) in the news show Jornal da Tarde. The first meeting for arranging Eurovision Song Contest 2018 took place today (Monday 15 May 2017), held by the Director General of RTP, Nuno Artur Silva. The arena for Eurovision 2018 has still not been confirmed, but everything points towards Altice Arena (former name MEO Arena, originally Pavilhão Atlântico). The European Broadcasting Union (EBU) has already suggested the Portuguese broadcaster RTP to chose Altice Arena as the venue for Eurovision 2018, and the Director General of RTP, Nuno Artur Silva, has also expressed the Altice Arena as a likely venue to host Eurovision 2018. The Altice Arena , is perfect for a huge event like Eurovision Song Contest, with a capacity of 20,000. The arena is placed very central in Lisbon with well branched infrastructure. Everything is until now going smooth and quick in Portugal. Did you remember last year's drama in Ukraine? Last year the announcement of the host city of Eurovision 2017 was delayed and postponed several times. At first if was scheduled for 1 August, and later postponed to 24 August - but cancelled just 20 minutes before the press conference should have taken place. Lots of politics, drama and ongoing accusations has dominated the public discussion in the last month between officials from Kyiv and Odessa. There was a verbal war between the two cities, with accusations against the other city (some rather dirty), to prove that the proposal of their own city was better.